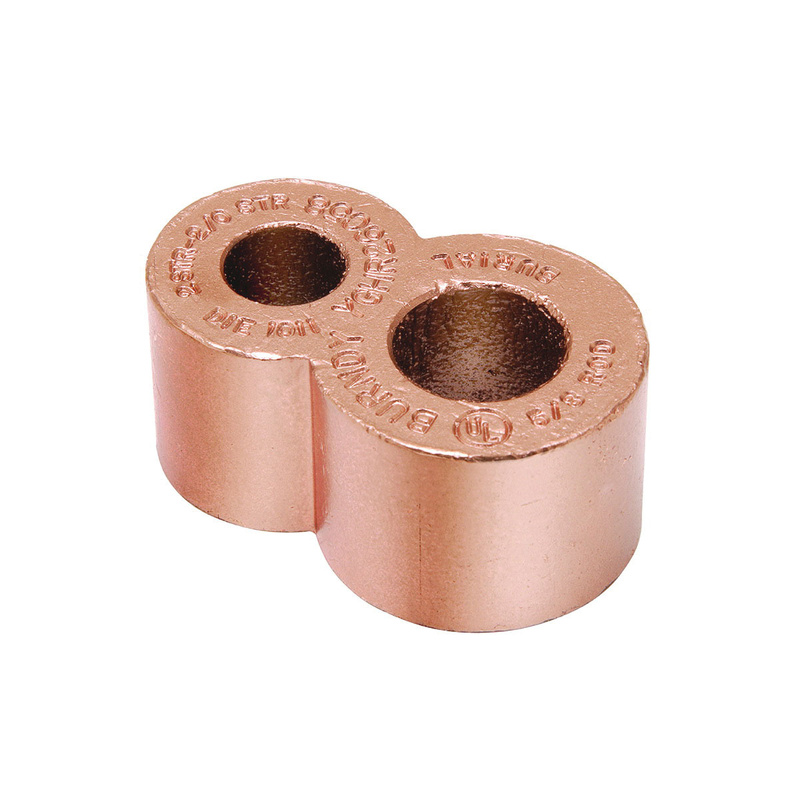 Burndy Hyground® Hytail™ YGHR-C Series High strength irreversible compression ground rod tap connector in an unplated finish, has copper construction for durability and maximum conductivity. This connector undergoes compression to connect with 2-2/0-AWG stranded run conductor size and 3/4-Inch ground rod conductor. The connector measures 0.88-Inch x 2.19-Inch. The compression ground rod tap connector meets UL 467, CSA, IEEE 837 and RoHS standards.